What to eat to fight those dark spots and keep skin fair? Salam & hello everyone! What do you eat for your skin goodness? Today i am gonna tell you my favorite 4 fruits that helps to maintain my skin from darken, and fight those nasty dark spots! Eating can also help to maintain your skin health. I choose fruits! Why? Because it taste good and it have all the best benefit you can ever get! Here are the four fruits that help to fight those dark spots to keep skin fair! KIWI - It is packed with antioxidants that also aids to collagen production. Collagen helps to slow down skin aging. Collagen also helps to increase the time of your skin healing. Dark spot sometimes cause by poping pimple that causes scars. This is where we need more collagen to help heal it. Bonus, it is high in fiber that helps to relieves constipation. STRAWBERRY - Packed with Vitamin C! 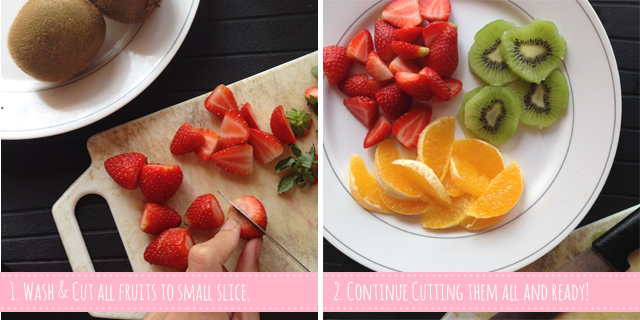 Said that by only taking 7-8 pieces of strawberries, already help you to maintain that amount you need a day of Vitamin C! Vitamin C also helps your skin to produce more collagen. It helps to whiten your skin and another bonus. It contains xylitol which aids in preventing tooth decay. ORANGE - The fruit that is popular of its richness in Vitamin C! You got to know that it also rich in Vitamin A & B which also help to contribute to a healthy and radiant skin. The vitamin contest is easily absorb to your body! LEMON - My favorite! 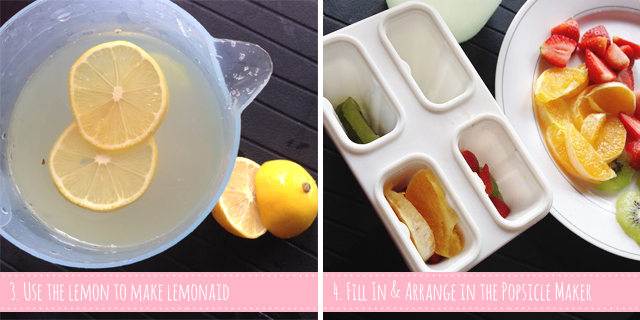 I love making lemonade and lemon sauce! I love soury drink! Yummy! Also, it smell gooddd! Also, Lemon is rich with Vitamin C, its relieves stress and boost the body immune system. The best part, yes! It helps to brighten skin! Its content of citric acid perks you up from tiredness and breaks down oil inside out! What can you ask more to a beautiful skin baby! Well... That is a lot of fruits. 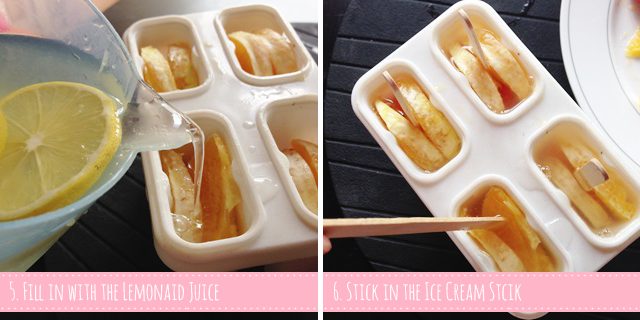 How about we combine all of them and make a great snack to our hot hot weather here! Let me show you how to make this fruity icy delish Popsicle! Yummy I tell you! Seriously! It's me & Ms Rosy favorite hot day snack! Yummy beauty snack for us! It taste awesome! 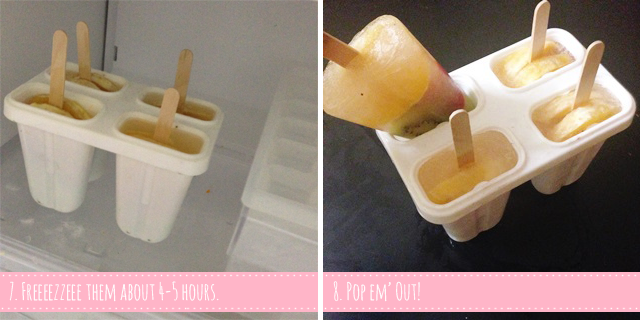 The natural sweetness of the kiwi, strawberries and orange makes this popsicle fun to eat! Take care of your skin care health inside and out! Now next you need a good skincare that helps to fight those dark spots! L'Oreal White Perfect contains all good sources of vitamins and minerals such as Vitamin C and Tourmaline Gemstone. 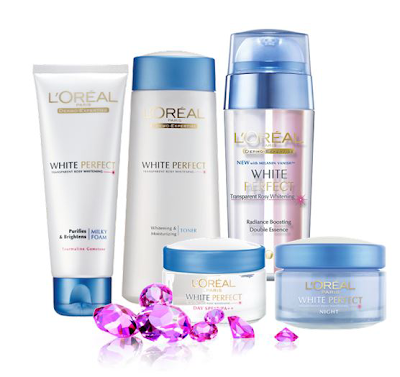 As well as Pro-Exfoliatine that helps to smoothen the skin surface. Now your skin is white and rosy! That perfect healthy looking skin! Don't forget to check out and be with Ms Rosy! sedaaappp kene try! plus bg kulit cantik! Yes! this is so good during hot weather! haha! seronok buat ni time boring! good idea for me who is not fond with fruits.. hahah! hehe! nice! this taste absolutely like a Popsicle! my mouth is watering. you are so mean sab! btw, i love the background in this entry.